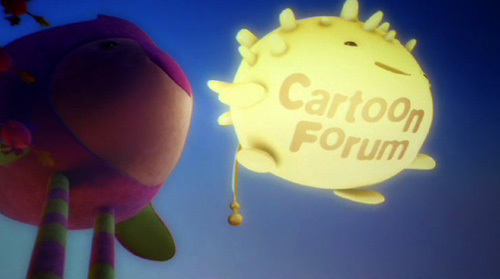 regina welker + max lang: 2008 cartoon forum trailer. If there’s anything more fun than a cartoon forum, I don’t what what it is. Maybe a drunken night of cavorting and frolicking in some beautiful old European piazza. I’m not sure if they read my mind or we just think alike, but in the trailer for the 2008 Cartoon Forum it all comes together and we get cartoons cavorting and frolicking in some beautiful old European piazza. I’m assuming they’re drunk. Whatever it is, they’re jazzed. Make no mistake, these toons are here to party. Animation students Regina Welker and Max Lang took the helm and led the entire team of students at Germany’s crazy prestigious Filmakademie Baden-Württemberg to get this awesome spot together in only 8 weeks. Mad impressive. « phillip toledano: america the gift shop. Just saying hello to you all .. Still a bit confused about the goings on here, but I guess I’ll keep poking around. Очень красивые,музыкальные слайд-шоу о природе планеты и природе людей!